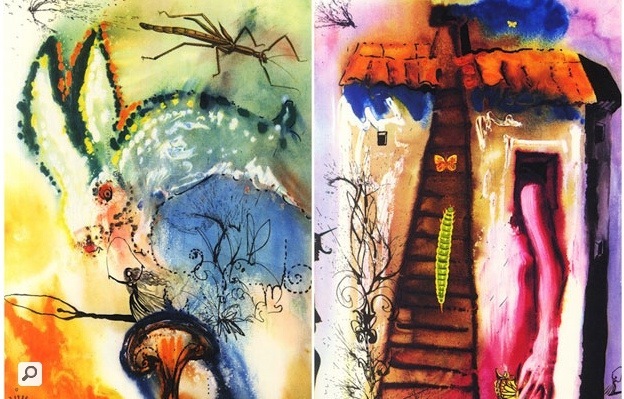 Well as you may know, I am a huge Salvador Dali fan, so when I came across these I knew I had to repost them. So if you click the link you can see all twelve of the concept illustrations for Lewis Carroll’s amazing book; Alice in Wonderland. I know towards the end of his career Dali worked closely with Eisner, and Disney and I really don’t know if these are from that period, incredible either way. Image | This entry was posted in Uncategorized and tagged Alice in Wonderland, amazing, Art, Dali, drawing, illustration, Lewis Carroll, painting, Salvador Dali. Bookmark the permalink.